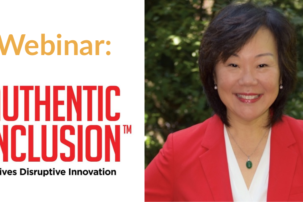 This webinar featured a discussion with RespectAbility President Jennifer Laszlo Mizrahi, Senior Advisor Matan Koch, and Executive Committee Board Member Vivian Bass about our exciting new initiative, Project Moses. 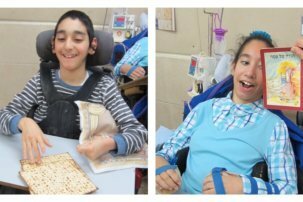 Project Moses is dedicated to creating a leadership pipeline of Jews with Disabilities and preparing Jewish organizations to receive them. Only with authentic leadership with disabilities can the Jewish community truly become inclusive, and only by not closing itself off to the 20% of Jews with disabilities can the Jewish community find the leaders it needs to stay strong and vibrant in the 21st-century. Jennifer Laszlo Mizrahi is the President of RespectAbility. She regularly works with disability organizations, national, state and local policy leaders, workforce development professionals, media, employers, philanthropists, celebrities and faith-based organizations in order to expand opportunities for people with disabilities. Mizrahi has submitted testimony on employment for people with disabilities in all fifty states and at the Federal level. Read more about Jennifer Laszlo Mizrahi. Matan A. Koch is a Senior Advisor at RespectAbility, a nonprofit organization fighting stigmas and advancing opportunities for and with people with disabilities. 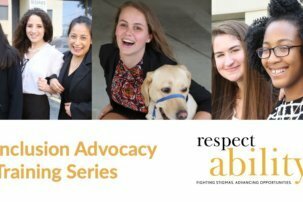 A longtime national leader in disability advocacy and a wheelchair user himself, he is on the front lines in RespectAbility’s work on disability inclusion in philanthropy and nonprofits, Jewish outreach and impact, leadership, legal affairs and our Los Angeles work. Read more about Matan Koch. Vivian G. Bass was elected as Chair of the Board of Trustees of Jewish Women International (JWI) in July 2016. Bass has dedicated her career to improving the quality of life, independence and community inclusion and dignity of persons with disabilities throughout the Washington, D.C., area, nationally and internationally. She became the CEO Emeritus of The Jewish Foundation for Group Homes (JFGH) in June 2016 subsequent to serving for 30 years at the helm of the agency, which ultimately grew to 77 residential locations via a wide variety of models, two innovative transition youth programs, a staff of 260, and having $28 million in total assets. As JFGH continued to become a model for more than 25 communities over five continents, Bass travelled extensively, mentoring these communities wishing to emulate the JFGH Program. Read more about Vivian Bass.